Three small streams, from north to south Myoshoji-gawa, Zenpukuji-gawa and Kanda-gawa, flow from west to east through Suginami ward. Myoshoji-gawa and Zenpukuji-gawa join Kanda-gawa after they leave Suginami ward. Their water resource was utilized by the Kanda waterworks from around 1629 to 1901. The fact that people in Edo, later Tokyo, could drink water from those streams indicates the good quality of water. Unfortunately this quality started to erode when industrialization started in the Meiji period (1868-1912). Of these three streams, Zenpukuji-gawa is the nearest to my house and rich in green surroundings. Zenpukuji-gawa starts in Suginami ward and flows into Kanda-gawa at the boundary of the neighboring Nakano ward. The total length is only 10.5 km, but it still waters wide green areas along its riverbed. 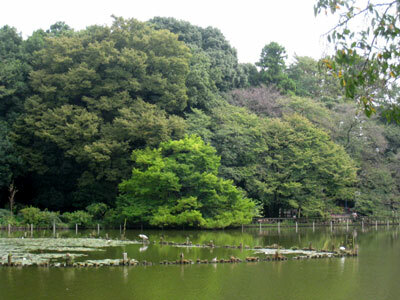 The source of Zenpukuji-gawa is Zenpukuji Pond. This area forms a park and retains the atmosphere of Musashino Terrace, the traditional landscape in the west of Tokyo. In many places in Suginami ward there are still traces from the time of the first Shogun, Minamoto-no-Yoritomo (1147-1199). 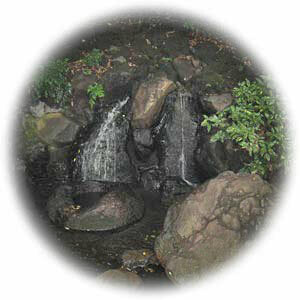 Osonoi, a fountain near Zenpukuji Pond, was associated with a Yoritomo's expedition. Yoritomo needed much time and many trials to dig this spring to quench his soldiers' thirst. Therefore, the soldiers called this "late spring" - Osonoi in Japanese. Unfortunately the natural fountain dried out as residential development progressed in the neighborhood, so the present fountain was artificially constructed to commemorate the old legend. 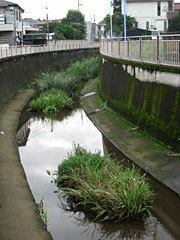 Zenpukuji-gawa often caused flooding and severe damage to its neighbors. In the earlier days, the neighborhood was agricultural land, and floods could be absorbed by the floodplain. But as urbanization progressed, floods hit houses directly and caused lots of trouble to the inhabitants. Therefore, in 1964, the year of the Olympic Games in Tokyo, the banks of Zempukuji-gawa were covered by concrete and the natural river landscape disappeared completely, much to my regret. Thereafter, floods decreased. 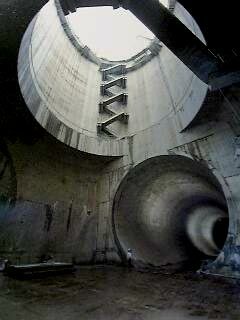 Flood-control constructions were steadily strengthened to improve flood protection and a huge underground water reservoir was constructed underneath a main circular road of Tokyo. The authority was boasting that the new construction could absorb huge amounts of water and thus prevent floods. But, on 4 September 2005, there was a large scale localized torrential downpour. The rainfall of 112 mm/hour was far beyond the assumed capacity and again caused a flood, and more than 3,000 houses were under water, even though the underground facilities absorbed as much as 420 thousand cubic meters of water. 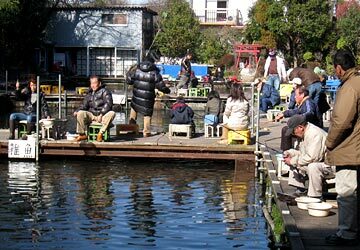 Musashino-en operates a fishing pond and an eatery. 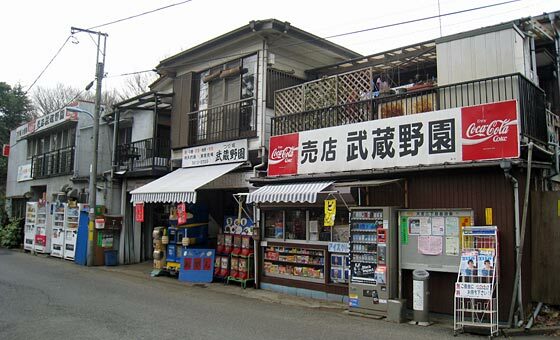 Such kind of wooden building is typical for the 50s and 60s and is now a rarity in this area. This old-timer seems to attract many celebrities. I saw there many autographs of TV personalities, actors and sumo wrestlers. It is said that such a heavy rainfall only occurs once in hundred years. But, because of global warming, abnormal weather becomes more and more normal. The absorption capacity of the underground reservoir was increased to 540 thousand cubic meters and new facilities are planned to further enhance the resilience to flood. 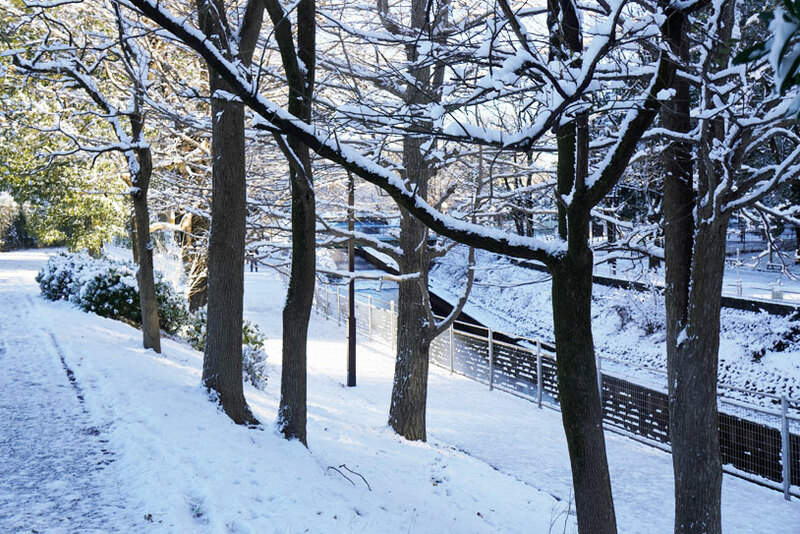 The most beautiful area along the stream is Zenpukuji-gawa Park which stretches over 4.2km and covers 18ha. Unfortunately we cannot go down to Zenpukuji-gawa, because access is prohibited by steel fences. Some people want to restore the natural banks. However, I don't think it is easy to realize this idea in light of heavier rainfalls and floods in recent years. The increase of artificial ground surface as a result of urbanization adds a further burden to the drainage facilities, once heavy rainfall takes place. We need enough space along the river to absorb a huge amount of water in the event of flooding. But, houses are built close to the stream and we cannot leave enough space for water. Therefore the huge underground reservoirs were constructed. Anyhow, the green area offers us a good possibility for recreation. There are baseball grounds, tennis courts, a Traffic Park for children and so on. 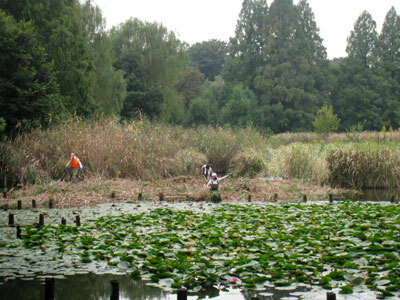 A fishing pond also exists in the park. The pond and its office building together with the restaurant are so old-fashioned that we would feel as if we were travelling in time and had strayed into Japan in the 1960s. There are also several old shrines and a reconstructed Neolithic house in the area. The best season is no doubt spring when cherry blossoms bloom. But, all year round there are always joggers and people taking a leasurely walk.